From my experience over the years, I have come to realize that training and re-training of Welders is crucial for Welders to be able to acquire relevant skills in the fast changing welding Industry. Many Welding processes have been modified to suit areas of applications and needs.This often poses challenges to the competency level of Welders. Therefore, training and re-training of Welders is paramount. You are so right Jonathan. The unfortunate state of affairs is that many businesses try to cut costs by sticking to old technology and expecting their Welders to learn new skills without input from the business. The (high quality) newer power sources are able to improve weld quality and productivity, but Welders need to be made aware of the features, and how best to use them. Under the wrong circumstances these "advanced features" can actually be counter-productive, so training is important. 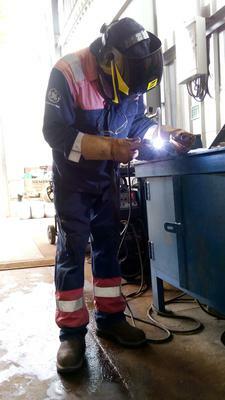 In addition, theoretical training of Welders is so important. The time is coming when Welders and welding supervisors will be expected to make more important calls out in the field. Those without adequate training and experience will find it difficult to compete in the job market. Fortunately, this theoretical training is available at so many places on the internet, so it does not need to really cost anything. - Start right here at WelderDestiny! Join in and write your own page! It's easy to do. How? Simply click here to return to Chinese Middle Class.